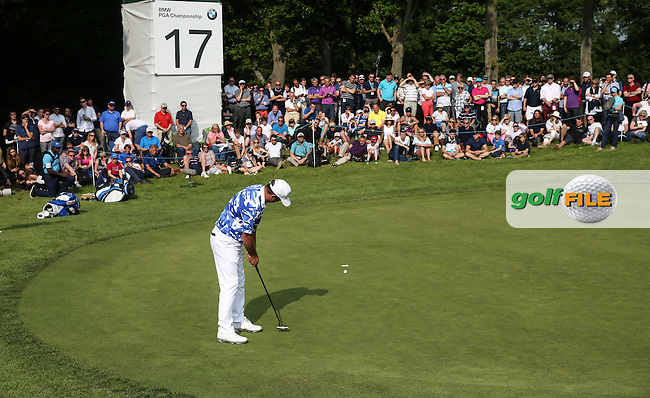 Scott Hend (AUS) sinks the putt for par during Round Three of the 2016 BMW PGA Championship over the West Course at Wentworth, Virginia Water, London. 28/05/2016. Picture: Golffile | David Lloyd.